This post builds off of the idea behind Factors that Influence Learning — so if you haven’t read that post (or if it has been a while), it would be good for you to do so. In that post, we discuss the idea that learning builds on itself. You first learn the sounds of letters before you learn how to combine those sounds into words. Learning comes in progressive stages. Build on what you learned in the past. And since learning naturally and most effectively happens that way, it stands to reason that teaching correct behavior should happen that way, also. 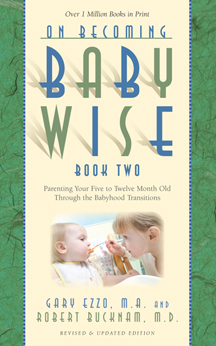 On Becoming Babywise Book II says, “Since learning comes in progressive stages, training should take place in the same way, occurring hand-in-hand with progressions in learning” (page 19). What does this mean? This means that no matter the age of the child, when you start to teach appropriate behaviors, you must do so bit by bit, much like building a house. You can’t start your child on the rooftop when the foundation is not yet complete. This can be easy and natural to do if you start age-appropriate training from babyhood rather than waiting until you have a wild two year old running around. It is easy to expect less of a 7 month old than it is to expect that same “less” of a two year old, especially because by that time, you will be a bit more desperate to get behavior under control. Let’s take a simplistic, yet common, example. The dinner table. At 7 months, all of those messy habits are adorable. True true. But somehow, getting splattered by the force of a two year old raspberry is not as cute as the 7 month old raspberry. If you allow the table manners you don’t want to happen long-term, then you will have some difficult teaching of appropriate behavior ahead of you. Throwing food, smearing food, decorating self with food, spraying food, etc. Suddenly, instead of focusing on one little step in the teaching manners process, you are looking at the big picture, and that is highly overwhelming to both you and the child. Now, you might be feeling sad for the baby–not getting to do those fun things babies do with food. You might even be feeling sad for yourself–not getting to witness those fun things babies do with food. I know this argument is out there. You can allow the behaviors at appropriate times. Remember substitution. It is an amazing tool for you to use! No raspberries at the table, but raspberries are fine and dandy in the tub. Go wild. No smearing food around, but I will let you have finger paints to play with and playdoh’. You can get that tactile sensory fun in there at a playtime and learning time, not dinner time. These activities can still happen even if you don’t allow them at mealtime, and trust me when I tell you that your child is smart enough to figure out the difference of when it is appropriate. You just have to give her the credit she deserves and also remain consistent in your rules. Another argument for starting early is to avoid the re-training process. I don’t think this can be 100% avoided–especially with the oldest child. As first time parents, we aren’t so good at seeing into the future and knowing what to avoid. As more children come along, we have been around the block a couple of times and know very well where certain allowances can lead. But with that oldest, especially, you will have retraining you will have to do. One example of my own is ball-throwing in the house. I allowed Brayden to do that because when he first started, it dropped right in front of him. Well, fast forward a bit and he has an arm that frightens me when we play catch outside (I am a bit of a scardy cat–I value my personal safety). Suddenly, he isn’t that cute little 8 month old who can’t throw further than an inch nor hard enough to frighten a fly. Now he can throw farther than the walls allow him and hard enough to scare his mommy :). Happily, I realized my blunder around two years old or so and started re-training. But with my girls, I haven’t allowed throwing ever in the house, and it has been an easier process. We throw outside. Inside, we roll to each other. Not as fun, no. Safer for everyone and everything, yes. So, when you are teaching your children your rules and appropriate behavior, no matter their age, remember that learning comes step-by-step. If you have waited until your child is 3 to start enforcing rules, keep this in mind and use it to your advantage. He will learn faster if you take it step-by-step rather than expecting him to get it all at once. You wouldn’t expect yourself to run five miles the first time you ran in…ever. No, you would start by working up to one mile. Then you would build on that. In the same way, you must build on learning behavior for your children. If your child is a baby, you can have a much easier time with this idea because it is the more natural progression of things. Happy training! I am a first time mom and my daughter is 5 months old. I have done Babywise from the get-go, however, I have struggled with consistency. 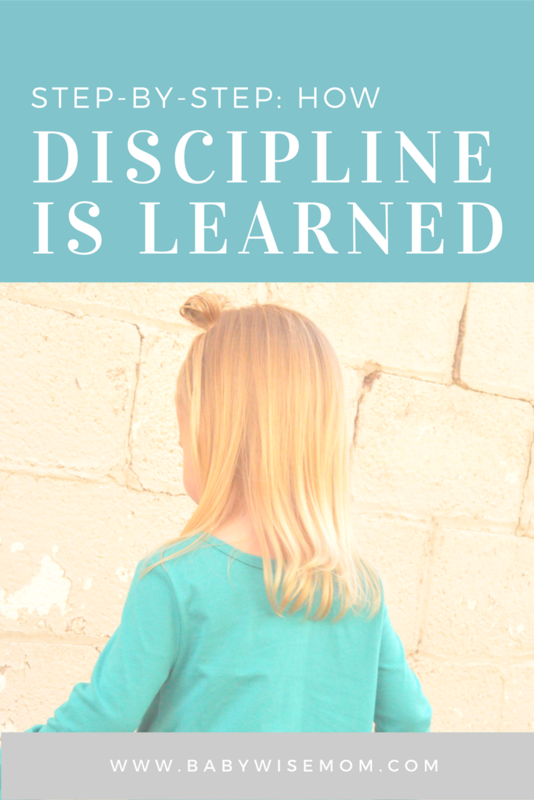 This may sound like an odd question, but how can I begin laying the foundations for good discipline at such an early age? With her being so young, I don't know what is realistic to expect. Any advice would be helpful. Thank you. Thanks for this post today. It has come at just the right time for me and my family. My 15 month old is totally at that stage where he is needing lots of discipline but is still pretty young to totally understand. It's been wearing on me as a parent because it is such a tough process. Reading this post puts everything back into perspective again. Thanks. 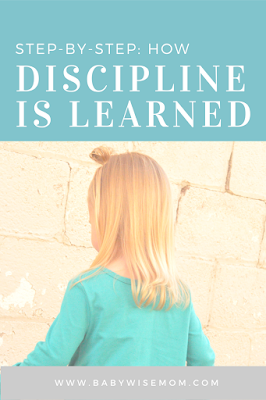 Brandy, check out the discipline index (go to the blog index, then click on the discipline index). You will see several posts that can give you answers to that question. How do you discipline a 5month old? Like he screams bloody murder when he wants his bottle. I don't know what to do or if I take it to burp him! I don't know what to do to get my point across. I didn't know what kinda of discipline I can do to get my point across that what he is doing is unacceptable! I have started doing the sign language with him too.